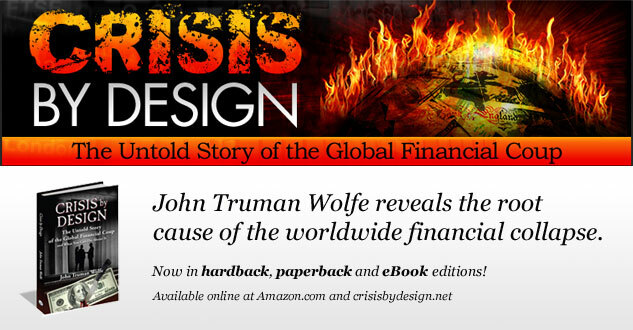 John Truman Wolfe, author of America the Litigious, Mind Games, and The Gift has released his latest stunning bestseller – Crisis By Design: The Untold Story of the Global Financial Coup and What You Can Do About It”. 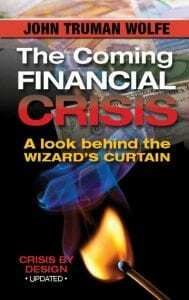 Wolfe draws on experience as a senior credit officer in two banks. 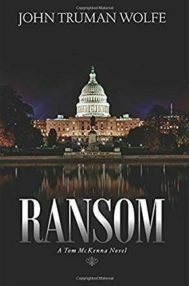 He is also the co-founder of a Los Angeles based business management company, where, he oversaw the business and financial matters of some of the biggest names in Hollywood. 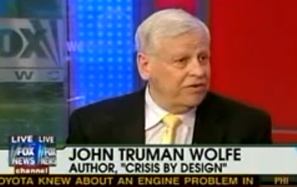 John Truman Wolfe was recently interviewed on Fox & Friends on his recent book, Crisis by Design, an expose on the global financial collapse. 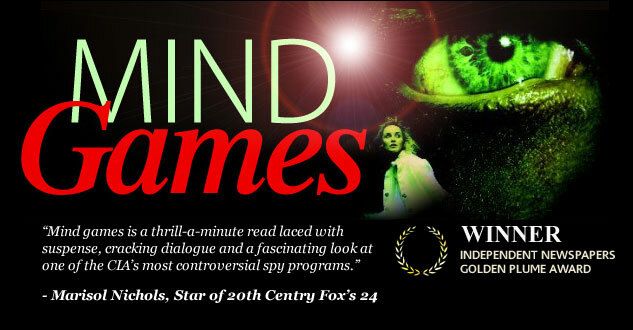 National Radio: JTW was a recent guest on Coast to Coast AM! 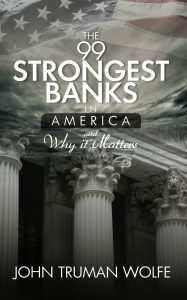 Banking—in the U.S. and globally—has devolved into a colossal Vegas-like casino and bankers have become the ultimate “whale” gamblers. The global banking system today has an estimated $1.2 quadrillion dollars in a kind of monetary heroin called derivatives. 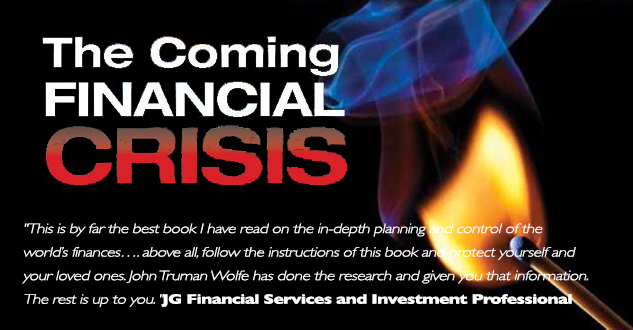 Financial Forecast: Get John Truman Wolfe’s newsletter on Strategic Financial Intelligence here. 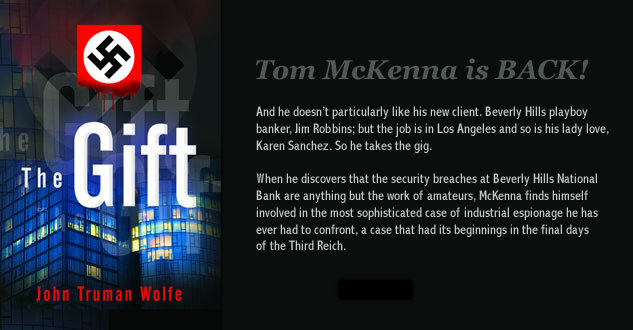 When Tom Mckenna discovers that the security breaches at a Los Angeles bank are anything but the work of amateurs, he finds himself involved in a case that had its beginnings in the final days of the Third Reich.